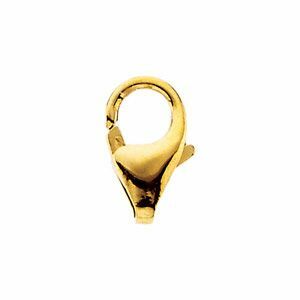 Description: 14k yellow gold standard weight round lobster clasp for chains. The connector jump ring is not included. Measurements: The width is 4.0mm by 7.0mm in length with an inside diameter of .9mm on the end ring.